Superdry men’s Vintage Logo Splatter hoodie. 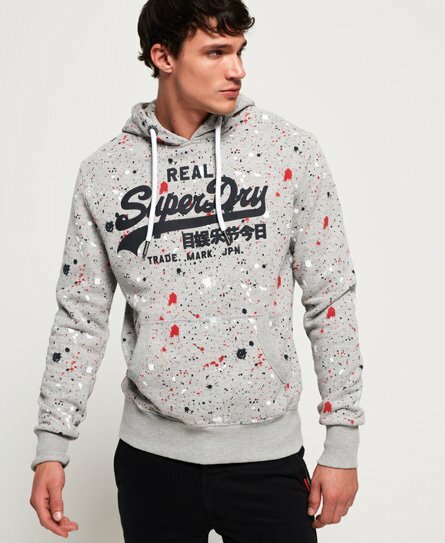 A twist on the classic, this overhead hoodie features an all over paint splatter design, a rubberised textured Superdry logo across the front and a draw cord adjustable hood. The hoodie also has a front pouch pocket and is finished with a signature orange stitch in the side seam. This statement hoodie has been finished with ribbed cuffs and hem for comfortability, making this hoodie practical item in your wardrobe for everyday use.